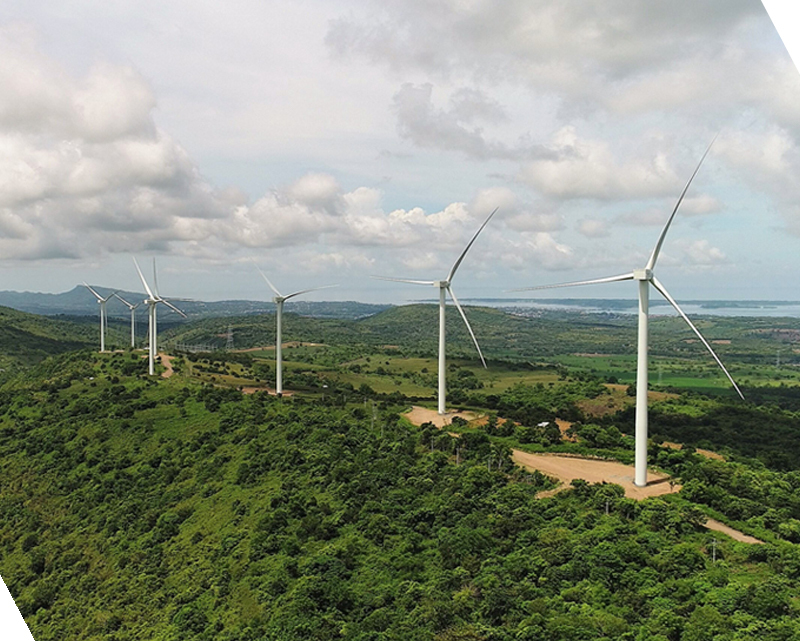 AC Energy’s renewable investments in the region include the wind farm in Sidrap, South Sulawesi, Indonesia, which went online early this year. 12 September 2018 | Manila, Philippines – AC Energy, Ayala Corporation’s energy holding company, continues to expand its footprint in the region as partnerships and growth opportunities arise. Having announced their latest goal of exceeding 5 GW in attributable capacity by 2025, the company is looking to significantly scale its renewable energy portfolio in the next few years. The aim is to achieve a balanced energy mix, with a 50/50 split between thermal and renewable energy. Part of this growth trajectory was AC Energy’s transition from an investment holding company to a full-fledged energy platform with development, operation, and retail capabilities. In early 2017, the company acquired Bronzeoak Philippines’ development platform. The platform has a strong track record in renewables and provides operations and management support services to several renewable energy plants. As countries around the region begin to adopt more favorable policies towards renewable energy, AC Energy has identified the Philippines, Indonesia, and Vietnam as the key markets in their regional expansion strategy. In 2017, the company experienced early success with their first overseas investment projects in Indonesia, which established the groundwork for their regional presence. Salak and Darajat Geothermal, part of the company’s acquisition of Chevron Indonesia’s assets, accounts for a combined capacity of 637 MW. Meanwhile, the 75-MW Sidrap Wind Project, in partnership with UPC Renewables, went online in March. Sidrap Wind is the first offshore greenfield project of AC Energy as well as Indonesia’s first wind farm. In January, AC Energy and the BIM Group of Vietnam committed to jointly develop over 300 MW in solar energy. That same month, they broke ground on the 30-MW initial phase of the project in Ninh Thuan province. By August, the partnership signed EPC and financing documents to increase the solar farm in size from 30 MWp to 280 MWp. Once completed, the solar farm will become the largest in Southeast Asia andis expected to commence operations in time for the June 2019 solar feed-in tariff deadline. It is estimated to cost around USD 237M, which will be financed by debt and equity. AC Energy will participate with a 30% voting stake and approximately 50% economic share. is currently under construction and is expected to begin operations in July 2019. BIM Group is a diversified corporation in Vietnam focused on four main business sectors: Tourism Development & Real Estate Investment, Agriculture – Food, Commercial Services, and Renewable Energy. AC Energy has also entered the Australian renewables market through a joint venture with international RE developer, UPC Renewables. AC Energy is investing USD 30M for a 50% ownership in UPC’s Australian business and is also providing a USD 200M facility to fund project equity. UPC Renewables Australia is developing the 1,000 MW Robbins Island and Jims Plain projects in North West Tasmania and the 600 MW New England Solar Farm located near Uralla in New South Wales. UPC Renewables Australia also has a further development portfolio of another 3,000 MW’s located in NSW, Tasmania and Victoria.